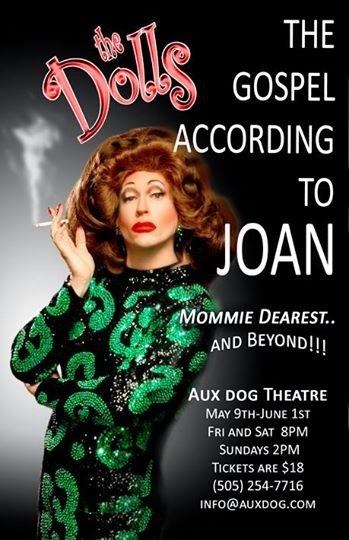 With life lessons to spare, Joan Crawford speaks to us directly and candidly in the original work, "The Gospel According to Joan," currently presented by The Dolls and playing at the Aux Dog Theatre Nob Hill. 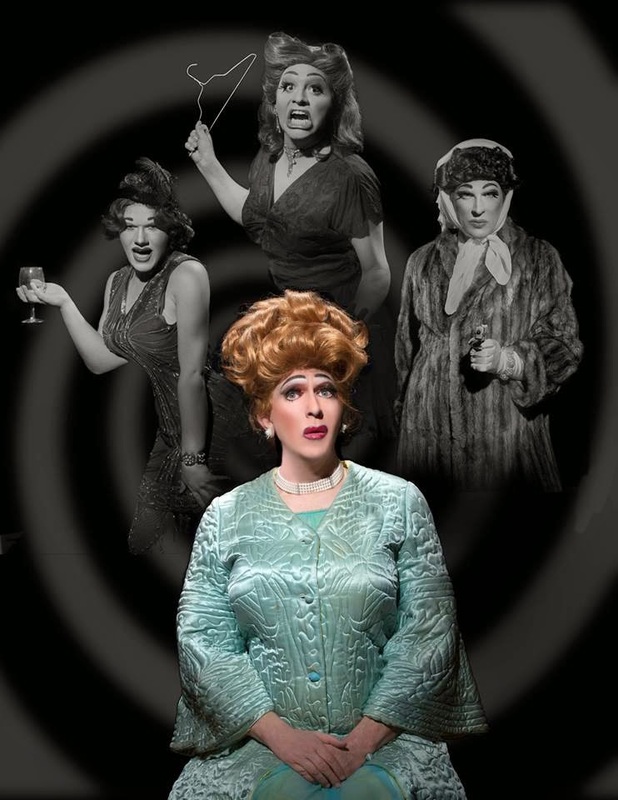 The drag troupe brings Joan to life in many of her incarnations, each one a delight to behold, giving us a glimpse of the many personas she was, her successes, failures, personal triumphs as well as pitfalls. The Joan Crawford, portrayed as an aging glory and reflective upon her life, is skillfully played by Kenneth Ansloan, the show's playwright. Re-examining many of her life's plot twists and love interests, Joan meets the incarnations of her younger self, each one another evolution of the Hollywood star, as well as later coming face to face with her greatest rival, Bette Davis. At each moment, Ansloan remains true to his vision of Joan, always convincing while confronting the past. As "Flapper Joan," Bradd Howard, the director, gleefully relives her more risque moments, including work in stag films and exploits on the directors' casting couches as she transitioned from silent movies into talkies. Coy and flippant, Howard gives his Joan the saucy flare of youth, complete with her marriage to Douglas Fairbanks, then considered Hollywood royalty. "You're common and wild," accuses the Joan, judging her past, perhaps even while relishing in it. "MGM Joan," the Joan who is at the height of her film career, is portrayed in her slap-happy glory by Jaime Pardo. Clutching her Oscar from Mildred Pierce, Pardo finds Joan's wild eyed Hollywood diva, who relishes being at the top of her game and in charge of the men around her, including her costar and lover Clark Gable (Brian Fejer) and a costar who became her second husband, Franchot Tone (Bryan Andrew Lambe). The male roles in this show are certainly entertaining but carry small parts, much like the men in Joan's real life. When Mayer later suggested she leave MGM, Crawford saw it as a betrayal, but she signed with Warner Brothers and the Oscar she won was her vindication for the studio's rebuff. Giving us psychotic Joan is A.J. Carian as "Mommie Dearest Joan," including some of the memorable lines from daughter Christina's notorious tell-all, published after Joan's demise. Stealing the show in every sense, Carian's moment re-enacting Joan's cameo appearance on her daughter Christina's soap opera role is a delight. Portraying Joan, pretending to be Christina, pretending to be a soap opera actor (unprepared for her lines), the scene gives us plenty of laughter in between the other more serious moments of Joan's reverie. Also giving the audience howls of laughter was Dean Squibb, portraying Joan's greatest rival, Bette Davis. Squibb's impersonation is done with comedic precision, every line delivered with laser wit. 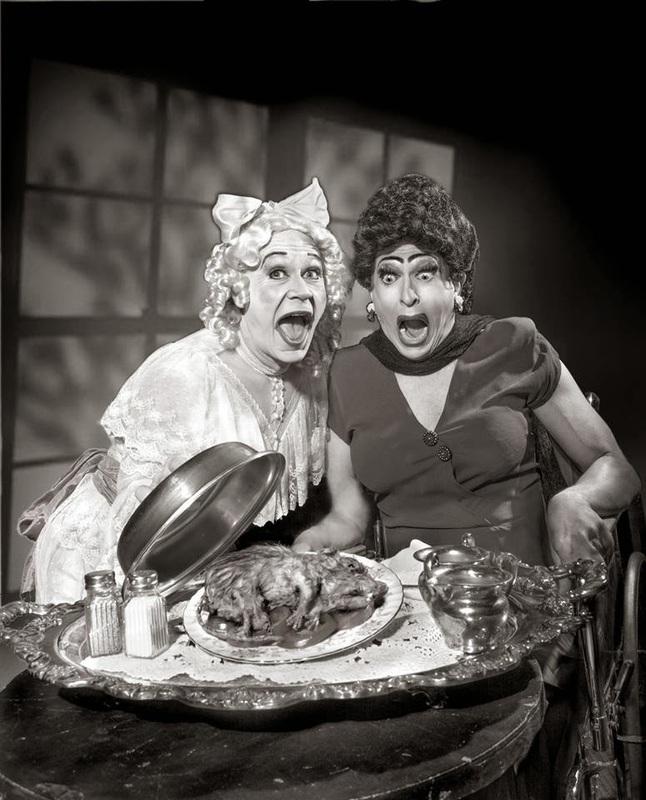 The scenes Ansloan and Squibb reenact from Whatever Happened to Baby Jane? set up the audience for the boxing match between the two women, which perhaps would have been a more effective resolution to their lifelong rivalry. But beneath that ongoing competition, was there something less adversarial between the women? A begrudging sense of mutual respect? By the end of this show, it would certainly seem Bette is ultimately more than just a rival in Joan's life. The Dolls, as a troupe, are fabulous... not just in the sequins-and-lipstick sense of the word but truly as actors who are willing to push social boundaries and expectations in order to tell the tale. A "dramedy" to the end, they work from each other, taking inspiration from live moments onstage and sometimes interacting with the audience to coax our giggles into belly laughs, at times ad-libbing, even coaxing the errant character-breaking giggle from their fellow troupe member to the audience's delight. Seating at the Aux Dog is limited and advance tickets are recommended to insure you won't miss out on the Dolls' fun, so drop by the venue's website www.auxdog.com and grab yours before the show closes on June 1st.